you have questions. well we have answers. Q: What does the fee for an Open BOX Design include? Q: If I have questions or want to add information during the time my room is being designed, how do I do this? You are welcome to email Open BOX Designs. All messages are answered within 2 business days. Although our Design Questionnaire is quite comprehensive, we want to completely understand the function & design goals of your project before we begin work, so sometimes we’ll call you to elaborate on your specific needs, but in general we’ll communicate via email. Q: What if I want to make changes to some of the selections? Will you help me? We want you to be totally happy with the design & therefore we are pleased to accommodate changes up to a maximum of three specification substitutions per room. Q: Will I be entitled to any discounts on products selected? Yes! Depending on where we source your items, we will share special promotions from our merchants. Q: I’m not sure how to measuring my space. Where can I find help? Click on our “Measure Guide” within Step 2 of the “Where Do I start” for detailed instructions on what’s involved. It’s simple. Q: Do you have a phone number I can call & speak with a designer about my room? Open BOX Designs is designed to service clients online, with our easy to follow steps & detailed FAQ section however, if you have questions about the service & wish to call us you are welcome to do so. If you require additional direction & design advise about your Open BOX Design you can schedule a phone consultation; or if you are interested in becoming a full service client we will be happy to discuss your design project & schedule a face-to-face consultation for clients within our service area. Q: Are there any additional costs outside of the fee for the BOX? No. If you want to upgrade your shipping, there is a nominal fee of $100.00. Your design fee does NOT cover the cost of any products specified. Q: Will there be products recommended that can only be purchased through Open Door Designs? No. You will be directed to links within your Product Guide. Should there be a product, such fabrics to reupholster, which we feel are a “must have” to make your space your own & they are only sold to the industry, we can arrange for it to be purchased through Open Door Interior Designs OR provide you with a retail supplied alternate. Q: How do I know that the furniture & finishes selected will fit into my budget? It’s up to you. We base each box on the budget you decide on. Within the Design Questionnaire you are asked to select a budget which helps us with your selections. Once you receive your Open BOX Design, it is ultimately your choice to either purchase our recommendations or substitute items to meet your specific budget. It is your space & your final decision. Q: What design forms do I need to complete? Q: I would like to purchase a Open BOX Deisgn as a gift. Do you offer this? You bet we do! At this time we do not have it as an online option but if you contact us directly we will make it happen. You can send a gift in any amount for that special someone who has everything. Q: How long will it take for me to receive my BOX? Your BOX will arrive in approximately 4 weeks from the date that we receive your 3 completed design forms. If we are experiencing a higher demand in orders or you have ordered multiple rooms, we will contact you if we anticipate an extended delivery time, prior to us starting the project. 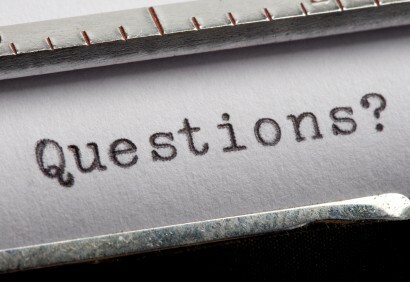 Q: I have filled out my questionnaire & sent my measurements. Do I really need to send the inspirational images? I’m afraid so my dear. We want to ensure that we have all the information to create a BOX persoanlized for you. The success of this service is directly related to your involvement so our ordering process will not allow you to process until all forms have been completed including slection of 3 inspirational images. Trust us –You’ll be thankful you did! Q: How can Open BOX Design provide such affordable interior design services? As a full service client we would typically visit your home for an initial consultation, define your needs, goals, style & budget, & then take inventory, dimensions, & photos of your space. After we’ve worked our magic we would present our space plans, color & finish selections for your approval & then continue on preparing construction drawings, which we could use to coordinate the renovation process with trades & suppliers. With open BOX design you take ownership of the­­ preliminary design process by following our comprehensive instructions. You gather, we create, you implement. It’s simple. We love it & are confident you will too! If you are too busy, we are happy to purchase on your behalf too! Just drop us a line & we’ll explain how our full client services work in more detail! Q: How can my room be a custom room design? Won’t it just look like the rooms ordered by everyone else? What fun is that? Your room will be as unique as you are. The questions we ask & information we gather are designed to get down to the nitty gritty so the more information you provide us, the more we know what you need, like, & require. This space will be a reflection of you -not your neighbor. Cross our heart. Q: Why do I need to measure & photograph my room? Ever bought a sofa you couldn’t get thru the door? That’s why. Good design is in the details & these details are important to have in way of accurate measurements & photos in order to design a fabulous space perfect for you. Q: I really like some of my furniture & accessories. Can I use things I already have in my new room design? Of course! We can include them as-is & generate a design to accent them or we can suggest how to freshen them up with a new frame, coat of paint, or reupholster. What ever you choose is of value to you -is of value to us. Q: What if I don’t like my Open BOX Design? Don’t be crazy! Of course you will. If there are items that don’t make you heart leap, we will make adjustments for sure. Happy homeowners make for happy designers. Do to the nature of the service we do not provide refunds & haven’t had any requests to date! Q: How much does each Open BOX Design cost? Each residential space is priced based on size, design complexity & the time & resources needed to successfully produce a plan. Please see our menu of spaces for details. Q: If I buy a room in the future will you still have my previous information so that the design elements in my rooms tie together aesthetically? Of course. We will keep all records for 7 years & longer when you continue to use our services. Q: How do I know that the furnishing you provide will fit in my room?